1998 Sea Ray Sundancer 270 Special Edition Mint Condition! 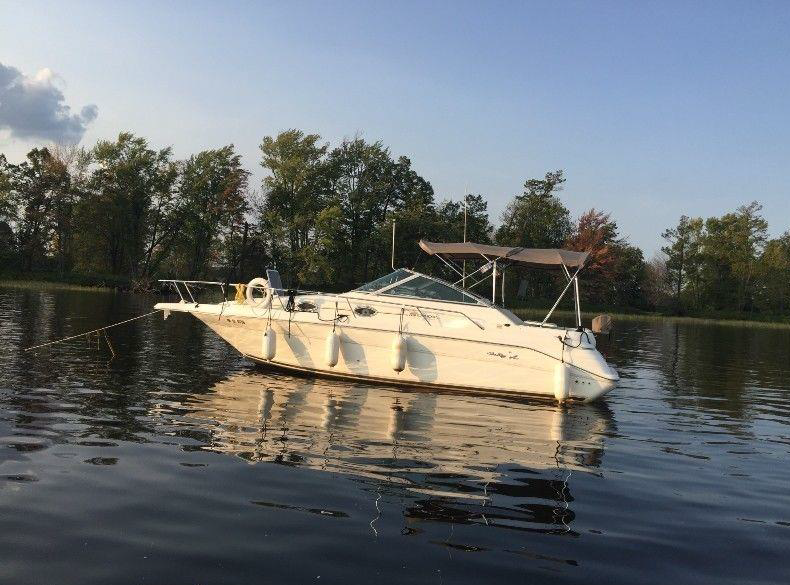 $28,500.00 Meticulously maintained inside and out, this express cruiser is the ideal vessel for weekend trips and vacationing along the Ottawa River and Rideau Canal systems. This cruiser is equipped with a professionally maintained 7.4L MerCruiser and MPI Bravo III stern drive with approximately 900 hours. Rebuilt outdrive in 2017/18. It has a full cockpit/tonneau cover, full canvas (new top 2016, new zippers and screens 2017). Sleeps 4 comfortably; double bed in stern and v berth/convertible dinette; seats 6; Bathroom – Head (new 2016)/shower/sink - Carpeting in cabin - Snap-in carpet protectors in cabin (new 2017) - New high quality carpet in cockpit (2015) & additional platform carpet - Outside dining area/table, seating for 4, sun lounger in cockpit/adjustable driver’s seat bench; refrigerator/freezer (larger than most vessels its size); microwave; single burner alcohol/electric stove; round molded sink; water heate; pressure and dock water; ample storage under v berth and mid cabin cushions; 4 port holes (3 in cabin, 1 in head); all screens professionally replaced in 2017 – now removable. Call 613-863-8161 for more information. RYC members may advertise on the site for free. Please e-mail info@ryc.ca with a picture and description. 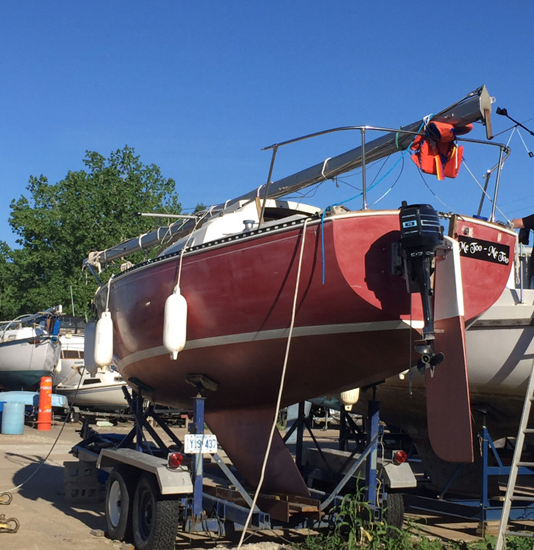 Rockcliffe Yacht Club does not collect or distribute any personal information through this website. Please contact webmaster@ryc.ca with any questions or comments about this website.